Update - Feb 12, 2014: Having had the regulatory green-light from the FTC, Google has now announced that its purchase of Nest went through on February 7. Nest is officially Google's baby now. Until it gets bored, that is. Google just spent $3.2 billion (£1.95bn / AU$3.5bn) buying up Nest, the smart thermostat maker founded by Tony Fadell, a former Apple employee referred to colloquially as the "father of the iPod." Why did Google buy Nest? Fadell worked at Apple from 2001 to 2008. After leaving Apple, he and a partner founded Nest in 2010 - and now he works for Google. It's unclear whether Google will leverage Fadell's talents in any other ways, but statements from Google CEO Larry Page and Fadell himself make it clear that Fadell and his Nest co-founder, Matt Rogers, will stay on at Google. "Nest's founders, Tony Fadell and Matt Rogers, have built a tremendous team that we are excited to welcome into the Google family," Page said in a statement. He continued, "They're already delivering amazing products you can buy right now - thermostats that save energy and smoke/CO alarms that can help keep your family safe. We are excited to bring great experiences to more homes in more countries and fulfill their dreams!" "We're thrilled to join Google," Fadell said in the same announcement. "With their support, Nest will be even better placed to build simple, thoughtful devices that make life easier at home, and that have a positive impact on the world." Nest will continue to operate under its original leadership and with its own brand, distinct from Google. The transaction between the two companies just needs to be finalized, which includes regulatory approval from the U.S. government. Google expects that to happen "in the next few months." As 9to5Mac points out, Google had previously invested in Nest, which launched a smart thermostat in 2011 and a smart smoke/CO detector in 2013. Google was also rumored to be working on its own smart thermostats in 2013. 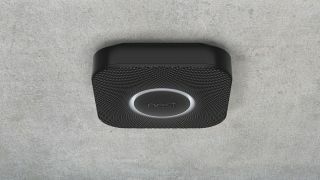 "Nest is all about getting those unloved things in your home, reinventing them and making you reawakened to them and [making] you embrace them in a whole new way," Fadell told TechRadar late in 2013. Nest Protect also won TechRadar's best in-home product award at CES 2014.